I’ve got a treat for you this week! 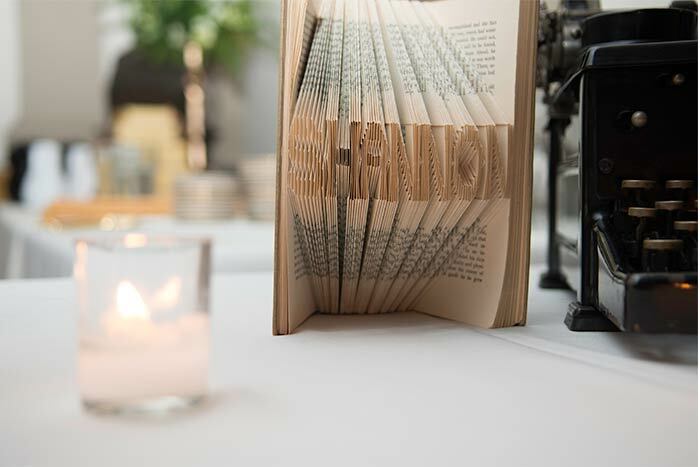 This week I will be sharing Shannon and Bryan’s beautiful book-themed wedding. Shannon and Bryan are a couple I met at the Lovesick Expo this past January, and I’m so glad I did! They both got married in April, and hadn’t found their invitations designer yet, so we worked very closely and quickly throughout January to design their unique, custom invitations. 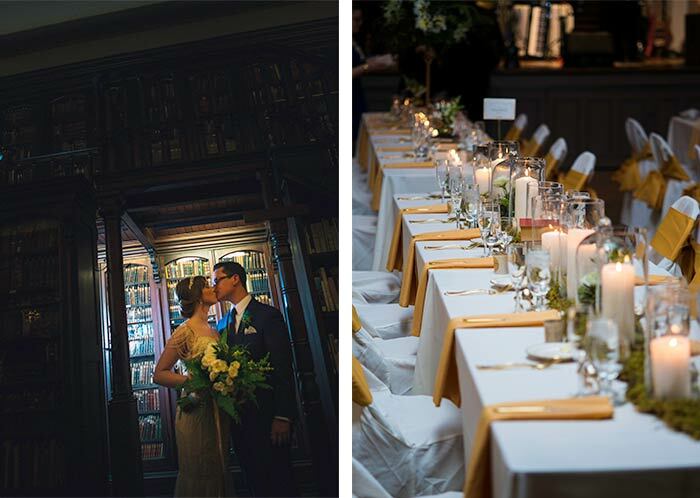 They had a literature themed wedding that took place in a library at the German Society building in Philadelphia. This was definitely a unique spot for a wedding and I loved the theme, so I was so happy to work on this project! Shannon and Bryan’s invitation set was a classic book cover design invitation with hand-painted vines and flowers on the cover in a soft Spring color palette. The RSVP card was a soft antique gold library card, to coordinate with the book invitation and literature wedding theme. 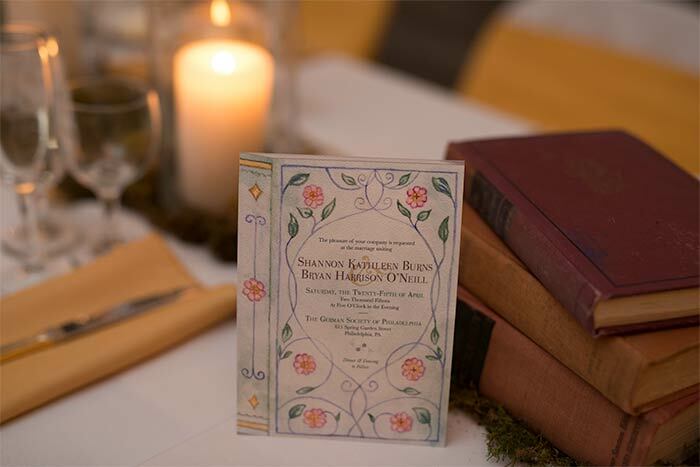 We also worked together on table cards that were named after the couple’s favorite authors. This couple put together a truly gorgeous event which was unique to who they are. 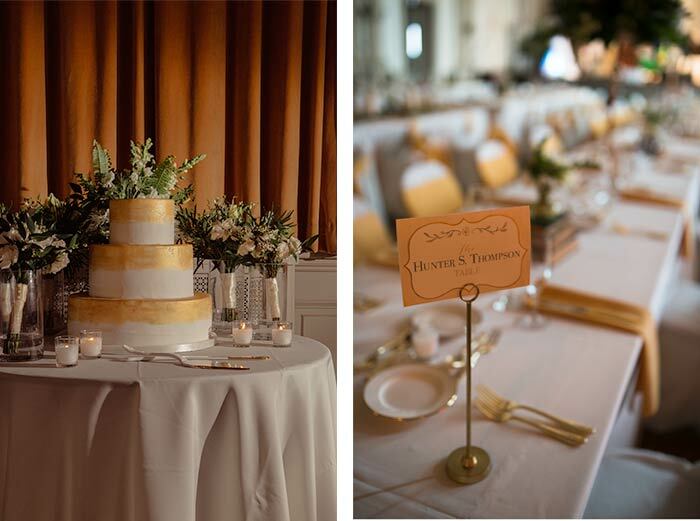 I love seeing how everything comes together at a wedding! I asked the bride, Shannon, a few questions about her wedding to give you a glimpse into this beautiful wedding. 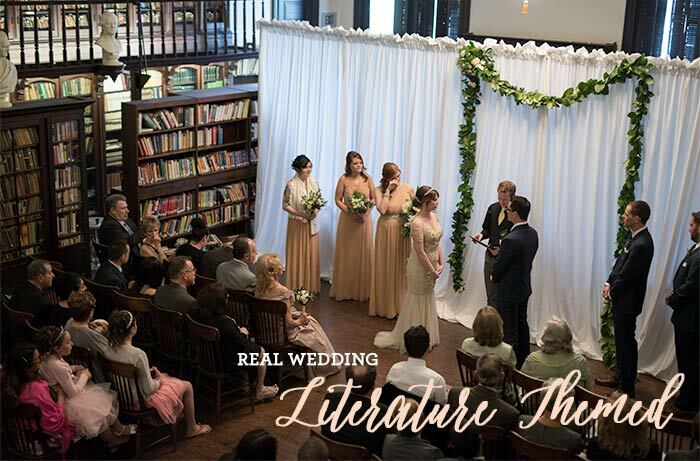 Question: Why did you pick a literature theme for your wedding, and get married in a library? Shannon: It was important that we chose a place that was special and had some sort of meaning for us. I had been to the German Society before when I saw Edgar Allan PoeÃ¢â‚¬â„¢s great, great nephew give speech there about PoeÃ¢â‚¬â„¢s life and works. IÃ¢â‚¬â„¢ve always been an avid reader, and seeing PoeÃ¢â‚¬â„¢s descendant in person, right next door to PoeÃ¢â‚¬â„¢s house, in the setting of the German SocietyÃ¢â‚¬â„¢s beautiful library was such a special, happy moment. When I found out that the Germany Society was available to rent for weddings, my mind was instantly made up; it had to be there! Since the ceremony was going to be in the library, I thought it would be fun and personal to do a literary theme. Bryan and I picked our favourite authors to name the tables after (we sat at the Poe table, naturally! ), and we played up the book/writing theme in all of the decor and the invitations! Our friends and family absolutely loved it, since it was really a reflection of who we are, and it added a very personal touch to the day. Question: How did your wedding invitations tie into your wedding? Shannon: They were absolutely perfect, and they set the tone ahead of time so guests sort of knew what to expect at the wedding. It tied the whole theme together perfectly. Plus, everyone loved the library card RSVP! It was like they were participating in it, and not just simply replying Yes or No. I canÃ¢â‚¬â„¢t tell you how many people wrote personal responses on the cards about how excited they were to see our Ã¢â‚¬Å“storyÃ¢â‚¬Â begin, etc. Ã¢â‚¬â€œ they all seemed really excited about the theme thanks to your lovely invitations! 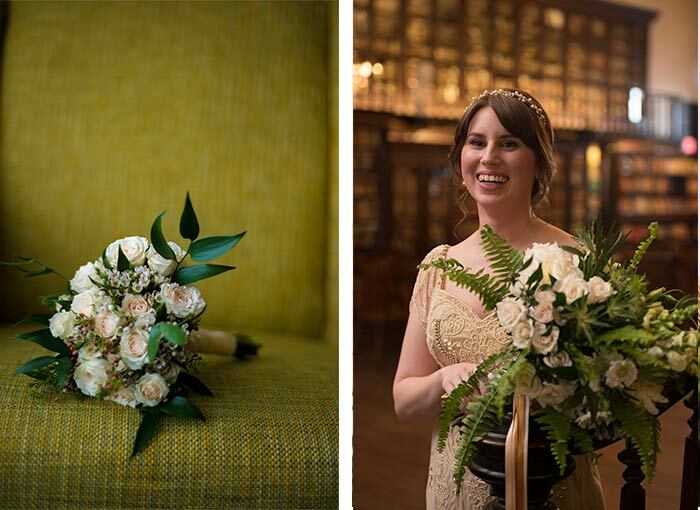 Stay tuned tomorrow and Friday for more Q&A with Shannon and glimpses into their beautiful wedding!